i am working on my Tuesday column in The Lebanon Democrat, and will add more comments on my trip when the column is published. But here is evidence of a special moment. 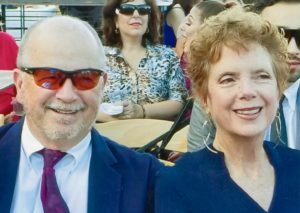 Pete Toennies and Jim and Sharon Hileman joined me for a barbecue at Deborah and Frank Kerrigan‘s wonderful home in La Quinta. Jim, Pete, and Marty Linville are the three good golfers in our foursome for the San Diego Telephone Company Golf Association. We rendezvous in the desert in each year for the “Year Ender,” a two-day tournament of fun and games. Frank and Deborah kindly included us in their dinner with friends. Marty and Linda Linville were driving from San Diego and not being sure they would make it in time, i failed to ask them to join us. There were some legends created at the dinner, which is pretty close to invariable when this foursome goes to the desert. But there was a very special moment for me. After the great meal and lots of talk, Frank goes to the kitchen and comes back with two beers. 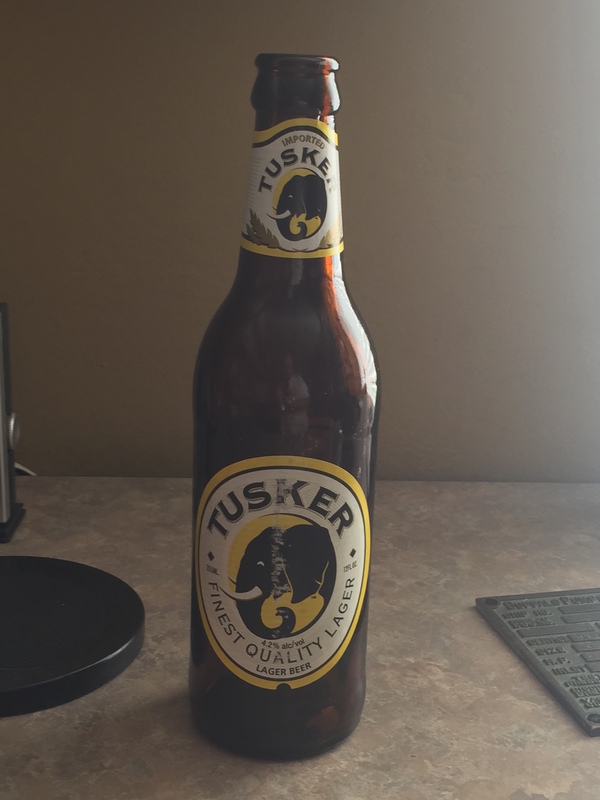 They were “Tusker” beers. Frank and i drank a number of Tusker beers together in Mombassa, Kenya in early 1984. It brought back special memories for me. As noted here earlier, Frank and i had a symbiotic relationship during those eight months of deployment to the Indian Ocean aboard the U.S.S. Yosemite (AD 19). That Frank remembered and actually found two Tusker beers in the desert was pretty remarkable. Seems that symbiotic thing is still going on.